It has been around one month since I painted my latest Malifaux miniature (Barbaros of Neverborn). Well, way to much time if you ask me… (I needed to upgrade my Skaven army – continuous process – and working on Infinity as well). I really enjoy painting these Malifaux models – so many details and such diversity – in one faction you could find so many different possibilities to paint. Neverborn that I chose for the start have so many crazy wicked miniatures, that I got little overwhelmed with options. What to get first? And what next? Everything looks so great! Serious decision was about to be made here. It took me some time but I’ve decided. 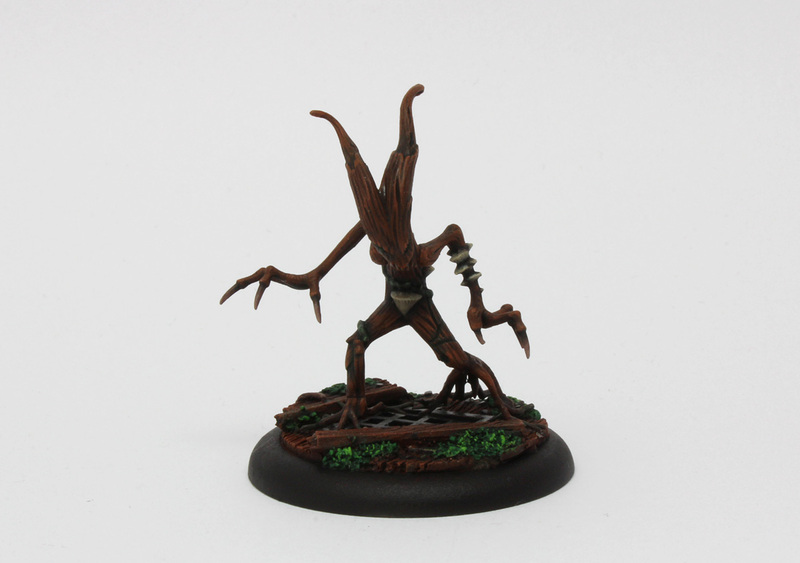 Lilith and her bunch of monsters will be my first master for Malifaux. I was painting Lilith box set for few weeks (all interrupted with my other projects). Lilith herself, Terror Tots and Cherub, and finally Barbaros. And the question was which direction I should go? 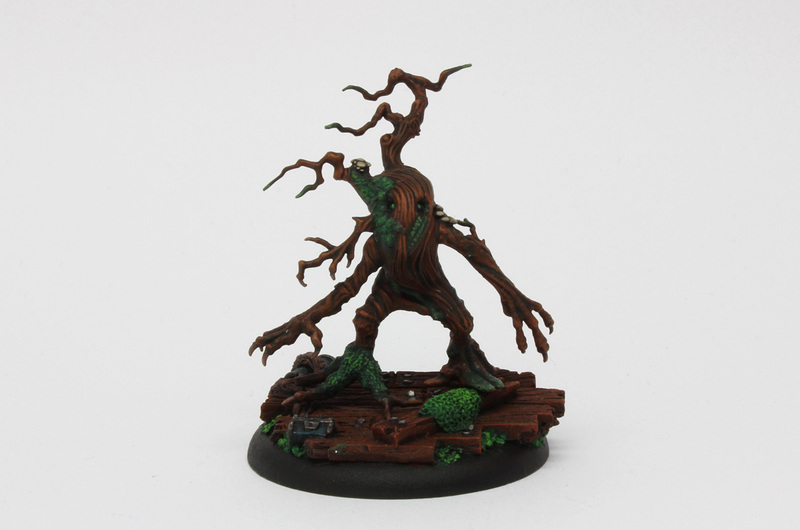 After some Malifaux Internet guides digging I’ve decided to purchase Waldgeists and Nephilms box sets to support Lilith. Both sets looks awesome, but especially Waldgeists caught my attention. 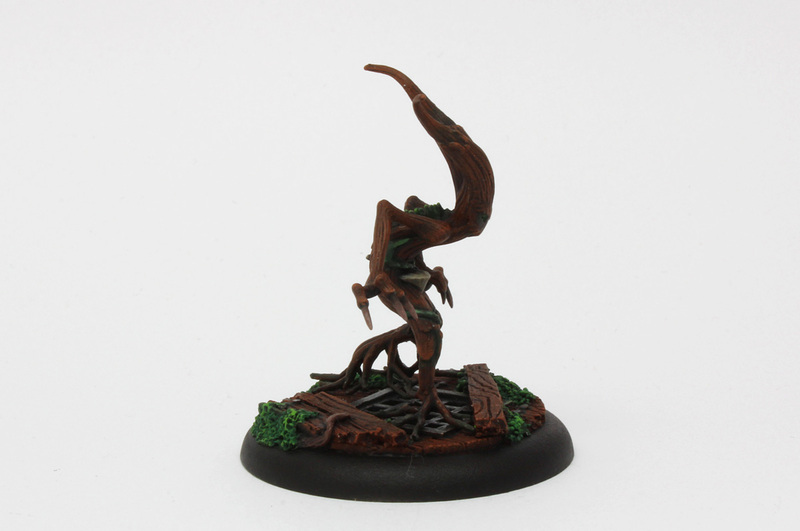 My first impression – Wood Elves Dryads. I am and I always will be Warhammer type of guy – so sometimes when I look at some model, I see only Warhammer, like there would be nothing more. 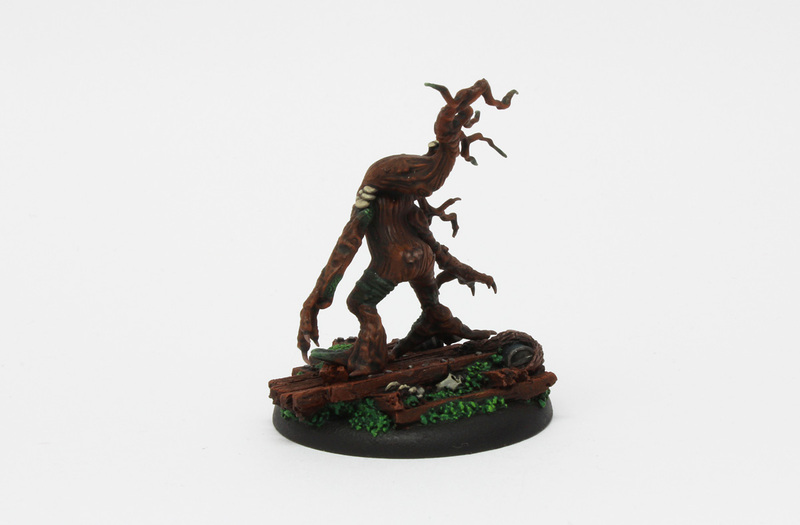 Waldgeists as tree-folks could easily act as proxy for Warhammer Fantasy Dryads. So, Wood Elves players if you need some alternative miniatures, grab those Neverborn minions. 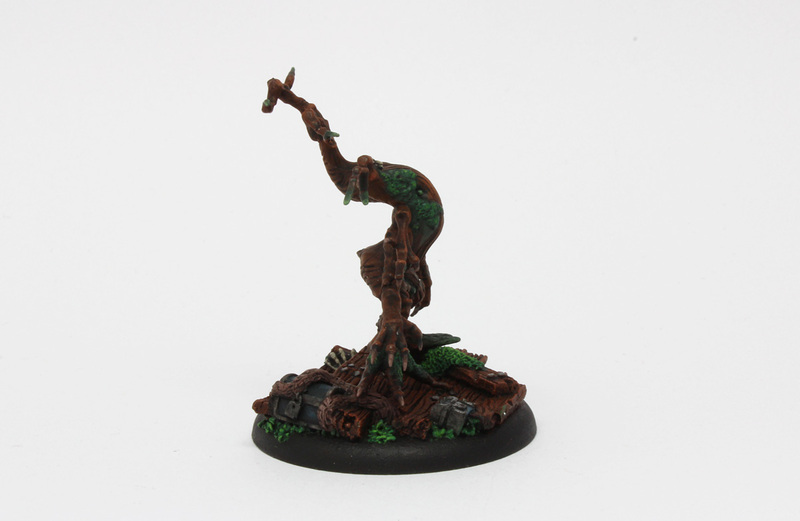 I, for instance, never played or even collect Wood Elves, but if I must choose most appealing minis from the whole army The Dryads will win my first price definitely. Anyway, back to the point – Waldgeists are original forest spirits from other side of The Breech. They are generally peaceful creatures, but when humans came and started chopping down trees and devastating forests, Waldgeists got angry and fought back. Actually like all Neverborn. In the box set there are 3 models. Each one looks different than the rest. First one is tall and skinny, second is bulky and third is bowled over. All three together look just amazing. 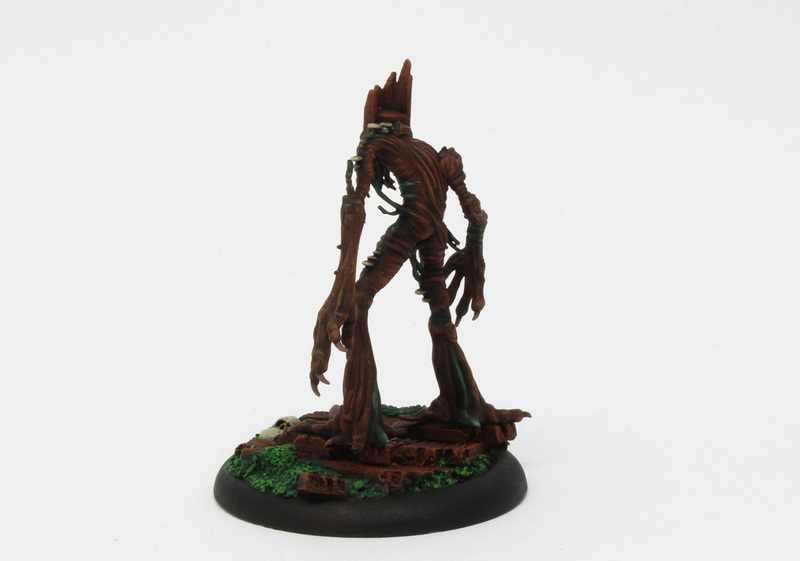 I did not used elaborate painting scheme for Waldgeists – I simply used Mournfang Brown as base colour (washed with Reiksland Flesh) to look them like trees. I toned it light with Skrag Brown. Tips and edges are lighten up with Skrag Brown mixed with just little drop of white. I also added few green parts to them – all brown they would look simply boring. Mostly it is Warboss Green washed with Biel-tan Green. For the moss on the bases and one of the models I used Warpstone Glow as a base and for lightnings Moot Green (also washed with Biel-tan Green). Few mushrooms growing here and there are coloured with Karak Stone. 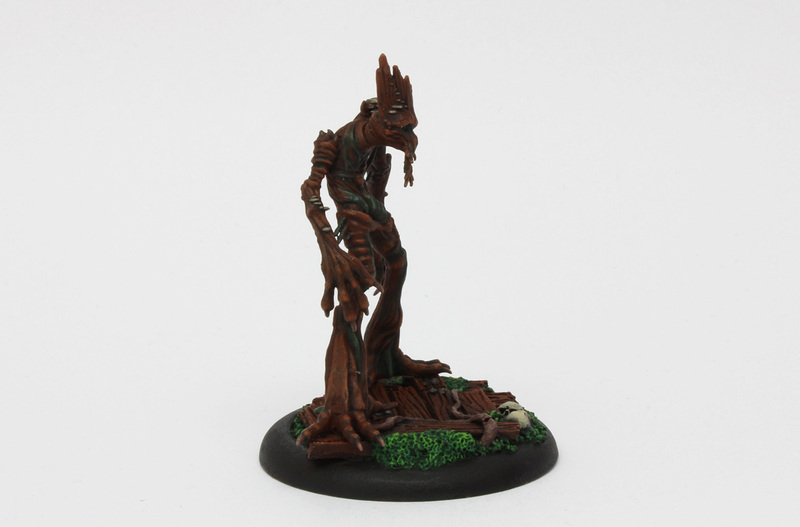 Bases are taken from offer of Micro Art Studio – provider of high quality resin bases. I love their products – I’m too lazy to sculpt my own – I prefer to buy something ready;). 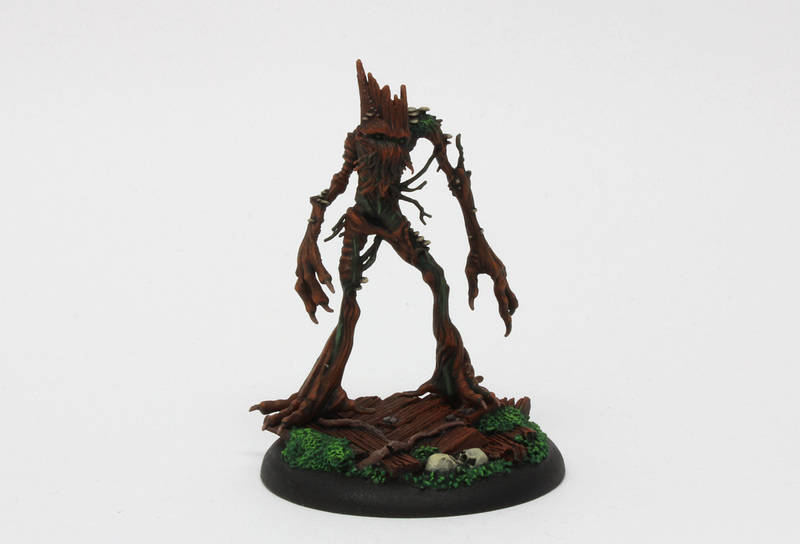 Well, when I finally finished Waldgeists I can jump to next Malifaux models – Nephlims. The box I bought contains Mature Nephilm (huge fellow!) and two young ones. I already assembled and primed them, so they are ready to be painted. The only problem is I have very little time left before I start my next big journey ( I leave Poland 21st October) and I would like to play at least one tutorial game of Malifaux with those painted models I owe. Only three miniatures to finish so I hope I will manage. And 21st October I’m heading to Australia and later few Asian countries and I’ll be taking with me handful of models to paint on the way. 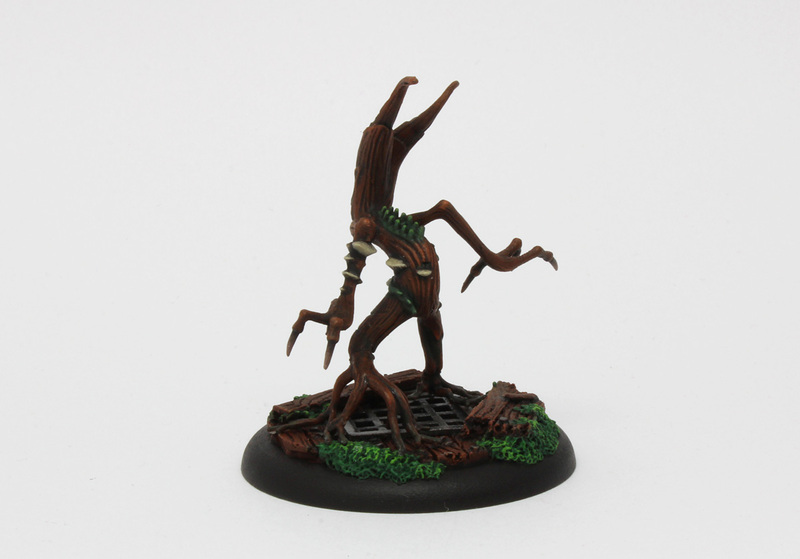 For Malifaux I’ll bring Pandora and her ‘No Shelter Here’ box set (plus Dopplenganger), so I’ll be developing my Neverborn faction by adding next master. I’m exited already. Unfortunately I won’t be able to finish my other project beside Malifaux – Bakunin Nomads for Infinity The Game. All necessary minis (6 left) are ready to paint, but I have so many other things over my head, so there’s no way I could finish them in less than three weeks. I’ll take them with me to the Australian/Asian trip and I’ll paint them later. Infinity for now is postponed. Nice job dude, lovely looking not-Dryads!